This is a couple weeks late, but let’s check in on how Consumer Confidence and mortgage interest rates fared during September. 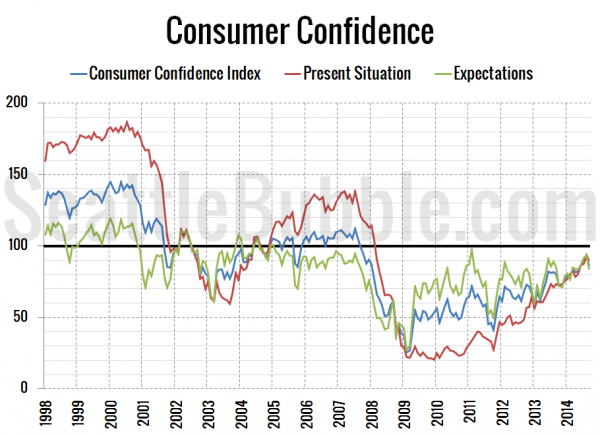 The overall Consumer Confidence Index currently sits at 86.0, down 8 percent in a month but up 7 percent from a year ago. At 89.4, the Present Situation Index decreased 5 percent between August and September, and is up 22 percent from a year earlier. 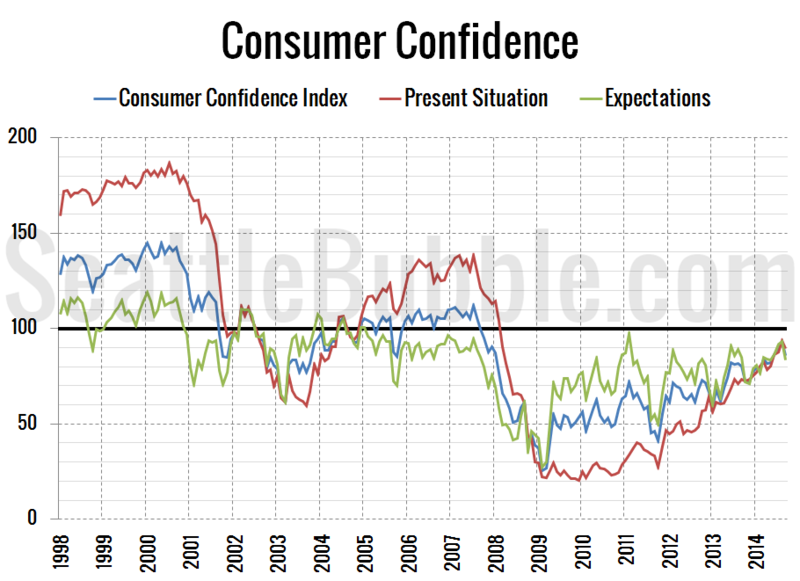 The Present Situation Index is currently up 343 percent from its December 2009 low point, but still down 35 percent from its pre-bust peak in July 2007. The Expectations Index also fell in September, down 10 percent from August, and is also down from a year earlier by 1 percent. 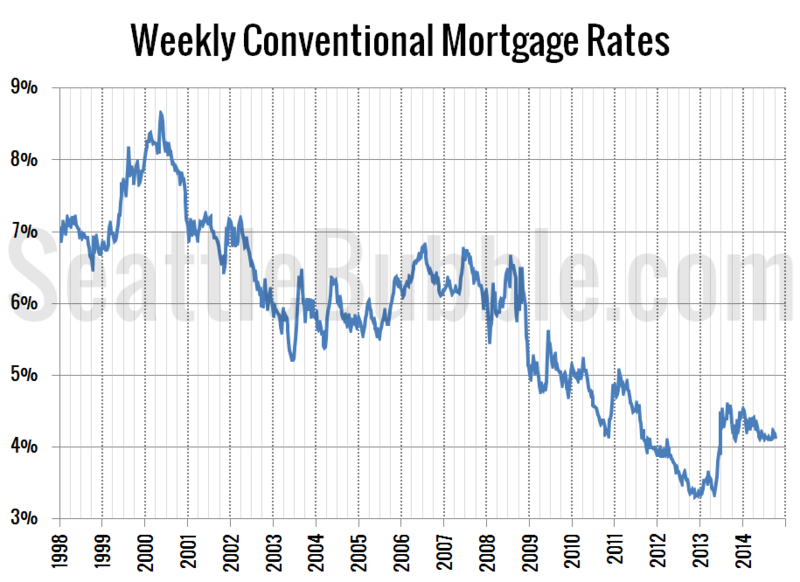 As of last week, the 30-year mortgage rate was at 4.12 percent, the same basic level it has been holding at relatively steadily since late May. Current interest rates are roughly on par with where they were in August 2011 and nearly two and a half points below the 6.41 percent average rate during the height of the housing bubble through 2006. Let’s see what it does to Seattle consumers this month [you can tell how the economy is going by the traffic amounts on the roads you encounter compared to like time periods before]. I’ve noticed some declines [quite big too] and other days about the same. September had the back to school sales, that helped some.